Infernal Execrator, the blasphemous Singahellian horde to unleash their ruthless devilish force to uproot the holiness from Manila with a live ritual titled “Manila Execration Ritual” Venustas Diabolicus, as a part of this live onslaught, took an interview with Infernal Execrator frontman Lord Ashir. – Hello brother Ashir! Once again welcome to Venustas Diabolicus zine. How are you doing? Lord Ashir: ARRRGH!! Atomic hails to you & Venustas Diabolicus zine! Everything is good here and are fully prepared for an execration death strike in Manila & Davao warfront! – You are going to manifest your blasphemous ideas on May 2nd at Manila Execration Ritual. What’s your view on the show and also what you are expecting? Ashir: Yes, We are definitely looking forward for our Manila Execration Ritual and expect total chaos, hate & blasphemy! – Are you in touch with any of the bands that you are playing with in Manila Execration Ritual? Can you mention the bands, please? Ashir: I’m in touch with EREHUS, ANCIENT WARLORD, SATANAS & SACROSANCT. – What’s your view on Philippines black metal scene? Is it promising? Ashir: I can say some of the bands whom I’m in contact with are killer & crazy maniac. I heard from my close contact there are quite a number of underground blasphemous bands which I hope I can meet them and have a blasphemous amalgamation! – So, you had your debut full-length Ad Infinitum Satanic Adherent released on the last month. How is the response you are getting from around the globe? Ashir: ARRRGH!!! The responses given this time are totally execrating & killer! EXPECT A TOTAL OF 9 PURE IRRELIGIOUS BLACK DEATH EXECRATION hymns including IMPIETY bonus cover extremely for an Asian pressing via Eastern Voice Production!! – Apart from Manila Execration Ritual, do you have any other tour plans with Infernal Execrator? If you have, can you brief our readers about the plan? Ashir: We will invade Davao on the 3rd of May after our Manila Execration Ritual which is on the 2nd of May 2014! We have few rituals to exterminate which is Batam, Tanjung Pinang & Yogyakarta in 2014. We are been offered few European dates as well but still under negotiation! ARRRRGH!!! – What will be the bands motto on the stage at May 2nd ? Ashir: DEATH TO GOD!! DEATH TO RELIGION!! – Thanks for your time Ashir, any final words? Ashir: THANKS FOR THE BLASPHEMOUS INTERROGATIONS & HATE!! As a part of our collaboration with Manila Execration Ritual, 2014, we have conducted an interview with “Hellcommander” of “Erehes”. 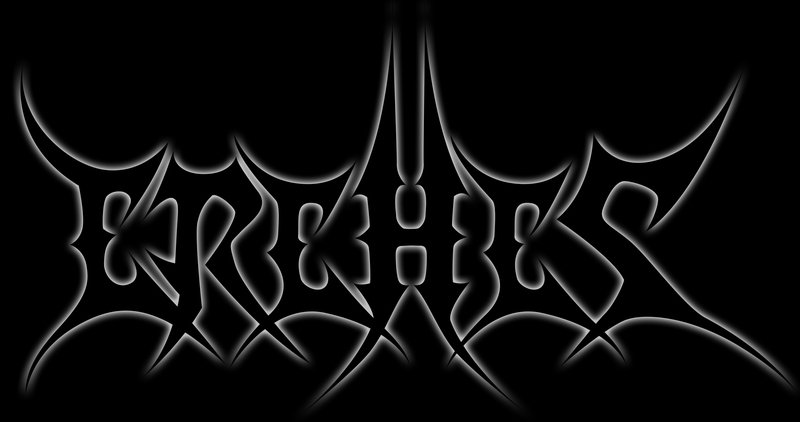 Erehes is a Black Metal band from Cebu, Philippines, formed in 2004. 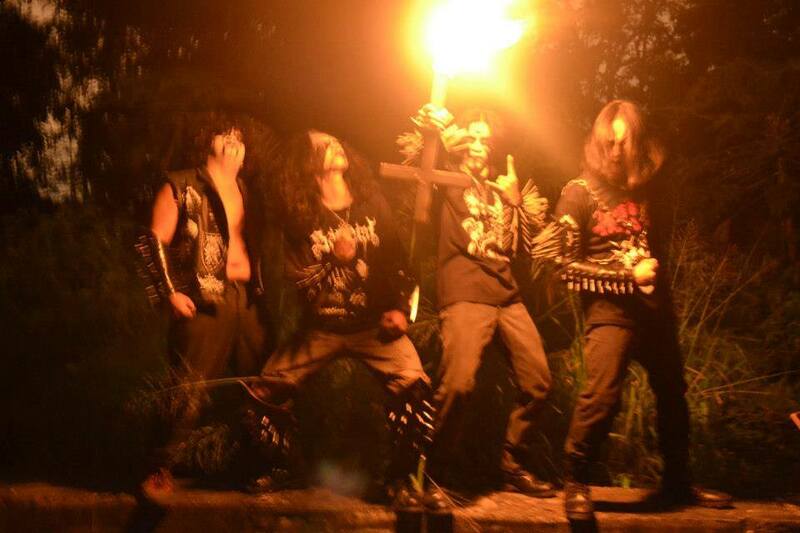 This blasphemous horde from Cebu are all set to play in Manila Execration Ritual, 2014. Asmodeus: Greeting from Venustas Diabolicus. Hellcommandar: Infernal Hails! To all black metal diehard legions of Venustas Diabolicus. Salute! Asmodeus: How did Erehes get started? Hellcommandar: Erehes started in the Midst of 2005, as 40DIAZ (Quarenta Diaz) the band original lineup was composed by my college comrades Binggoy (valac) Mon (moon) and yours truly (hellkommander), the band started black metal in a small town of Cebu City, Played some Behemoth Cover songs and few reditions of Black Sabbath Covers (Black Metal Sabbath) to begin with. The band has few original compositions during those blasphemous years like; Archdiocese of Madness, the Scorn ov thy Beloved. Due to to unforeseen events other members had left and the band stuggled and continue to find replacements that would fit the band wagon. Through the years of unstable lineup the band decided to cool down and spend time focusing on its personal agendas. a year later i met this two cool guys Myk and Mertz and invite them to join the band. These two guys had no background of Black Metal, but i find them brilliant they were able to capture the bands ideas. 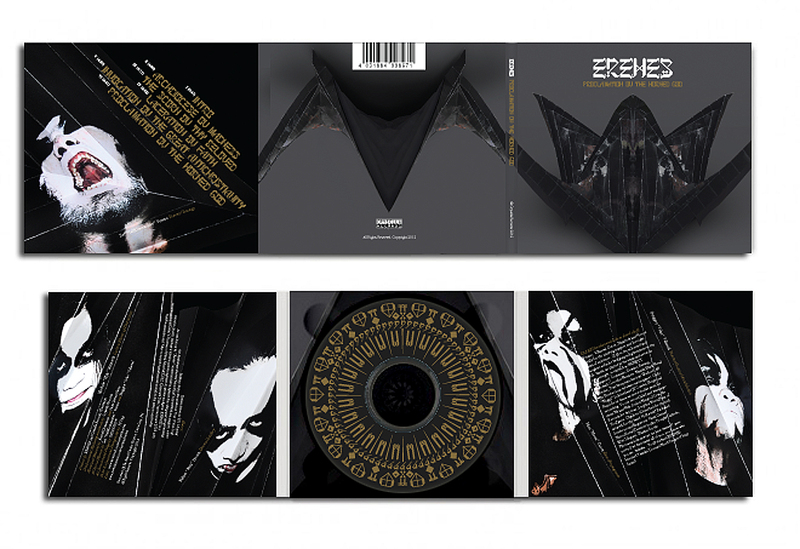 So, EREHES was formed with new concept, crazy ideas etc and tend to make its music more mature, evil and 666 X aggressive compare to Quarenta Diaz. The band made its 1st debut on Impiety Tour Cebu leg, showing a different blend of BM sound. Today, EREHES continues uphold its uprising against the norms and virtues of Roman Catholic Church and other false religion. The band now celebrates its 9 years strong and counting looking forward to meet and shared stage with true metal heads all over the country. Asmodeus: What does ‘Erehes’ mean? Hellcommandar: It’s someone who subversive, Againts religion particularly the doctrines of the roman catholic church. Asmodeus: Erehes is performing this year at Manila Execration Ritual. Tell us something about that. Your plans, feelings and expectations. Hellcommandar: First and formost it’s a great honor for the band performing into a pure black metal show. Knowing some of the bands that we had shared stage before were great bands for us its more than enough total bombardment and sick experience. And I have known Ashir of INFERNAL EXECRATOR few month ago, very humble, down to earth guy it’s always a pleasure meeting and pefroming with the true legions. We have no expectations except to play and enjoy the set. Asmodeus: Tell us about your latest release. The EP titled ‘Proclamation Ov the Horned God’. Hellcommandar: The EP was like 3 years in the making recorded last 2010 at backyard recording studio in Cebu and was complete early 2013 due to lineup change and personal agenda’s it took time for us to complete everything. but it’s worth to wait, uhhmm, it’s close to 20-30mins album with 5 Unholy merciless tracks bombard with some epic guitar riffs and ravaging solo’s. 2 tracks were taken from our old band’s composition but we had to do some changes and etc. supposedly the band’s target was a full length however due to time constraint we decided to cut it short and will be releasing full soon. , also it is release and marketed by our label Crysella Records until now we are waiting for physical copies to be distributed in the country. the artwork were conceptualize by Sir PJ Ong (Inodoro Designs) a well known diverse graphic artist the the country who wanted to make some expirement by making the art more simple yet diabolical inside. And he was able to capture the bands black heart. Asmodeus: What are your plans regarding the future releases and upcoming gigs? Hellcommandar: We lookforward for more out of town shows, ofcourse playing outside your own arena is way more better specially you see real people appreciated and love what you are doing. With no biases. I say, there are more fulfillments performing into a much more intellectual crowd. True extreme followers do not commemorate thy one selves yet support with no exceptions. in regards to release we continue to write new songs well infact we have one added which i find it more aggressive and evil. For upcoming gigs; will save the last for Cebu hordes since we have difficulties in organizing due few venues that supports extreme music which is ironic. but more tours planned after luzon, we lookforward to desekrate Davao and some other parts in Mindanao, Visayas we lookforward to get some support aswell. So continue to stay tune! Asmodeus: From the lyrical point of view, what message does Erehes try to forward to the listeners? Hellcommandar: Very simple, follow what you believe into and do not be decieve by what others want you to do. But to sum up everything EREHES wish everyone to be more opend minded and intellectual human being, born in a christian nation we live by their norms and much lies and hypocrisy in values they taught .so, strip the blindfolds and see the bigger picture. Realities lie into our own hands! Asmodeus: Are there any other bands or projects that you are associated with? Hellcommandar: Binggoy and Mon are both associated with Muriatik (brutal death band). Myk and Mertz are both associated with Mykils Edge (progressive). I am not associated with any. Asmodeus: How would you like to explain your sound? 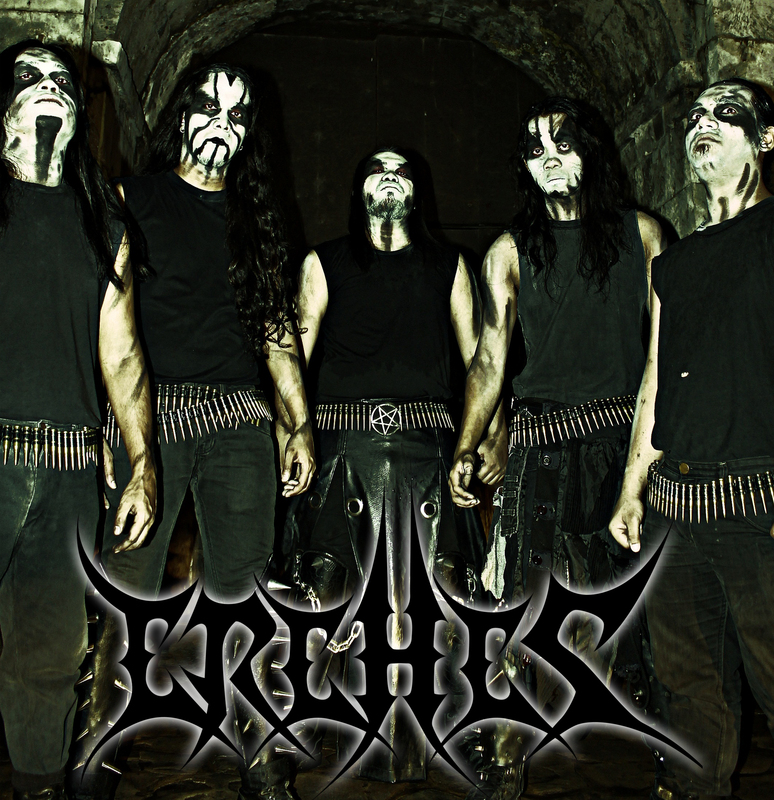 Which bands worked as the influence or have played a major role to create the authenticity of the sound of Erehes? Hellcommandar: I say, not the typical BLACK METAL. Most Black Metal in the country were adapting to RAW and DIY. I have so much respect for each individual’s point of views, we may like it or may not but most important thing we create something which it’s natural in a sense. if you notice Myk has deep influence in Classical Metal and our drummer does not came from extreme band which is bit challenging the Rest were influence Black Metal and Death. The band wants something friendly to the audience yet diabolical in a sense. So, expect brainstorm on every tracks. But the band that influence us most when it comes to Ideas and Philosophy is Nergal and BEHEMOTH. Asmodeus: Thanks for your time. Any last message for the readers? Hellcommandar: To all followers, Die Hard legions, we urge you to support EREHES as we perform together with Manila’s one of great BM Bands and Davao’s Black horde We wish to see everyone enjoys everyones set and get drunk as fvk!!!! After Manila ritual on the 2nd, we also ask everyone in Olongapo for the Aural Massacre 9 year aniversary on 3rd of May to join us and support the band. ! We want to desekrate in 2 cities!!!! 666 Support! Ave! Cheers! As a part of our collaboration with Manila Execration Ritual, 2014, we have conducted an interview with “Lord Impierno” of “Satanas”. 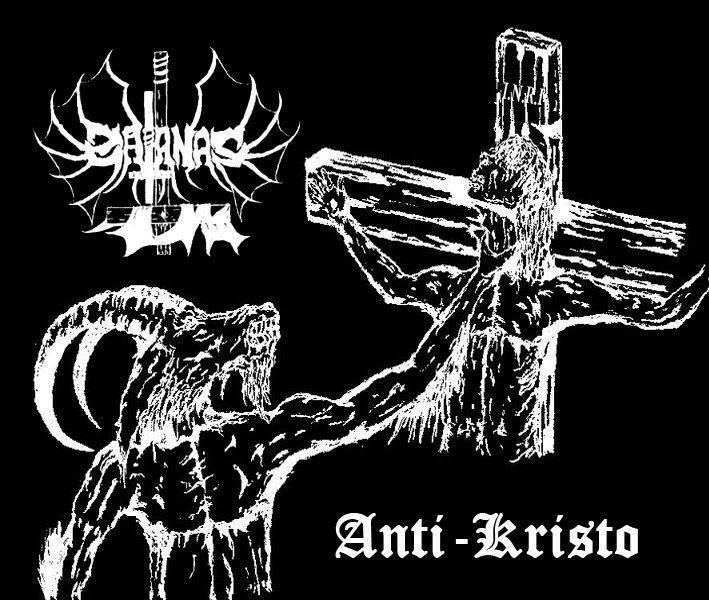 The impious troop, “Satanas” has emerged from Davao, the capital of Philippines’ extreme metal. The quadrilateral of Anti Kristos is ready with their weaponry to assail at the grandest event of Manila Execration Ritual that is going to be held on May 02, 2014. Zoheb Mahmud conduct an interview of the drummer, “Lord Impierno”. Zoheb: Welcome to Venustas Diabolicus Zine, “Lord Impierno”. To start off this interview, tell us how did Satanas get started? Lord Impierno: Hails, in 2008 I was playing drums in a black thrash metal band called DEMONIFIED, but we’ve split up in 2009 due to personal problems of my band mates, so I’ve decided to form another band, this time a full black metal band called Satanas, then I’ve started to search for band mates that have the same beliefs in black metal. Then I came up with black demon and carcallas (ex members of dark lord), black demon, carcallas and I are starting to make songs in 2009 then destroyer entered the band in 2010 and we started to play live rituals in 2010. Zoheb: Satanas is to play in the unrighteous live annihilation, “Manila Execration Ritual” on coming May along with Infernal Execrator and other Filipino black metallers. What is awaiting for the audiences who will show up in the gig? L.I. : They will witnessed a total devastating night, a night without Christ!!!!!! Zoheb: When did you play live last time? L.I. : We dezekrated Davao in march 15,2014 at the reuniting chaos event, that was the last time we’ve played live, then we are getting ready for the manila execration ritual. Zoheb: Till now, Satanas has released only a demo back in 2012. Is there any news of new release? L.I. : Yes, hopefully we are releasing an ep this coming July. Maybe next is a full length album. Zoheb: Are you associated with any other band? And what about the other band members, are they only playing in Satanas? L.I. : Yes, I’m also the drummer of DEMONYO and IMPIERNO, and I also have a one man band called AVERSEKRIST. My band mates are only focusing in Satanas. They don’t have any side band. Zoheb: Aside from creating vilest music, you organize the diabolical black metal fest known as “Blood War Death Fest”. In addition, you create artwork and distribute merchandises. Brief us about these activities. L.I. : I distribute bootleg shirts only in the Philippines for some who can’t afford to order outside the country. I’m also one of the head of BLOOD WAR DEATH an underground black metal event in davaohell, yearly we celebrate for the glory ov Satan!! Reuniting the true underground black metal scene! Zoheb: Your music is strongly akin to Korihor and Darkthrone (early) materials. Which other bands have influenced you to generate such kind of fiendish music. L.I. : There are too many to mention, but we hail the true Finnish black metal… Satanic Warmaster, Horna etc. Zoheb: What else do you have coming up in the future? L.I. : We are getting ready to dezekrate cagayan de oro city soon to release our ep there. Zoheb: Thank you for your time. Any final message you want to spread before ending the conversation? L.I. : Thanks for having us here. 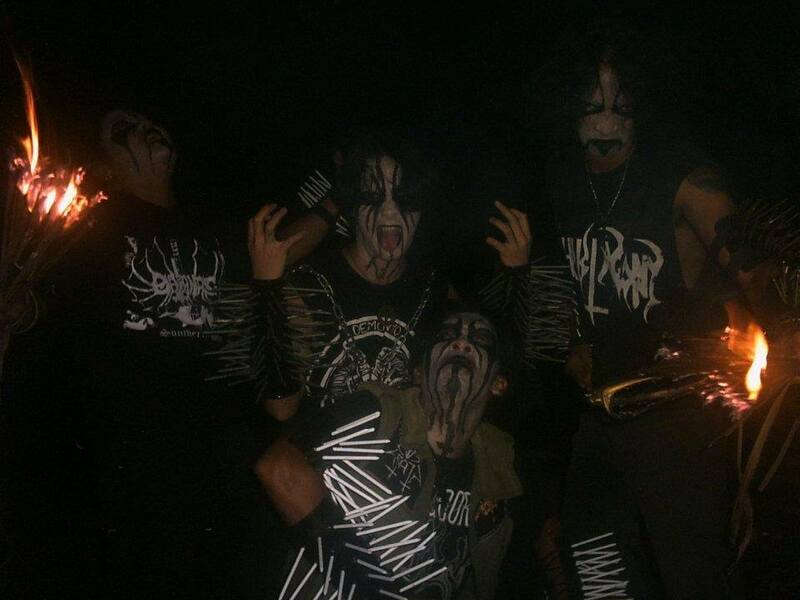 bestial hailz to the true black metal warlords!!! !